Instantly: Skin looks naturally healthy even-toned, and smooth. 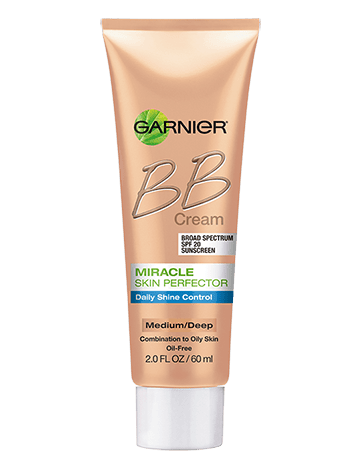 After cleansing and treating with your favorite Garnier skin care products, apply your BB cream to moisturize and protect, while controlling shine and minimizing the apperance of pores. Rated 5 out of 5 by mary21 from PLEASE BRING ITEM BACK!!!! I have used this for many yrs and cant find nothing similar!!! Do you carry a similar product???? Rated 5 out of 5 by Pris777 from Please bring back!!!!! I love this product. I have really bad acne issues and I never break out with this. Please please please bring this back!!!! Rated 5 out of 5 by ttfischer from PLEASE BRING THIS BACK!!!! I have used this for years and absolutely love it!!!! Please bring it back soon!!!!! Rated 5 out of 5 by Kristina39 from PLEASE BRING THIS BACK This was my absolute favorite, the BB cream medium/deep and now it's discontinued? It's the only thing that worked for me and I've been using it for 2+ years!! Please bring it back!!! Rated 1 out of 5 by Lrlindse from So sad. THIS WAS MY ABSOLUTE HOLY GRAIL. I am so sad it is gone. There is nothing like it. Please please bring it back!!! I was a loyal customer and now I will have to find another brand to use. Rated 3 out of 5 by DebraH from bring back old formula BB cream I used this for years, please bring it back there is nothing like it. The new product is not improved! It is horrible. Rated 5 out of 5 by Judyludy from Miracle Skin Perfector BB I have used this product for many years. No other name brands compare! Miracle Skin Perfector BB applies smoothly and easily removed. Why spend a bundle on other products? It keeps my skin soft and smooth. I use this makeup along with their cleansing products and creams.